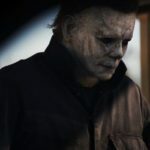 I can’t get begin to express my excitement for the latest Halloween movie. You may know that the original 1978 John Carpenter classic is my favorite scary movie of all time. I’ve done reviews and ranking of all ten films, and I have faith that this new one is the best sequel to date. Director David Gordon Green (Stronger) has teamed up with Danny McBride (Pineapple Express) to pen the screenplay. 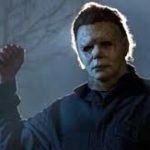 They may not have horror backgrounds, but Carpenter is also on board as one of the film’s executive producers and is composing the score. Producer Jason Blum and his production company Blumhouse is also backing the film. 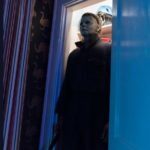 Their vision is to go back to basics making this a direct sequel to the first film finding Jamie Lee Curtis’ heroine Laurie Stone ready and waiting for Michael Myers to come back. Gordon Green and McBride have stated that they ignore everything that happened in the rest of the franchise. You may remember that Curtis appeared as Strode in Halloween: Resurrection and was killed off. What drew Curtis and Carpenter back was Gordon Green’s concept to keep it simple, which is why Carpenter’s classic works so well.